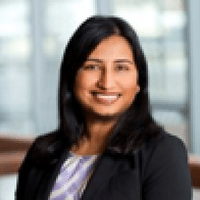 Sima Gupta is a Partner with Deloitte’s Infrastructure and Capital Projects practice in Toronto, Ontario. She is a Professional Engineer and has over 20 years combined experience in the manufacturing sector and consulting. Prior to joining consulting, Sima spent over 10 years in the manufacturing industry focusing on engineering and manufacturing performance improvement and cost reduction initiatives. In industry, she was a Project Engineer focused on project delivery from advanced design, through to testing and manufacturing. At Deloitte, Sima leverages her lean engineering background in helping client deliver projects with a perspective on operational effectiveness whether it be process improvement and cost reduction, improved schedule and performance management or improved governance and oversight. Sima has conducted multiple engagements helping Client’s Board of Directors/Executive Management teams conduct independent reviews of their mega projects, has helped set up Clients’ Project Management Organizations (people, processes and technology), and has also helped clients with contractor cost recovery initiatives.